﻿ MCN Plus - 600s Group Test: Remember us? 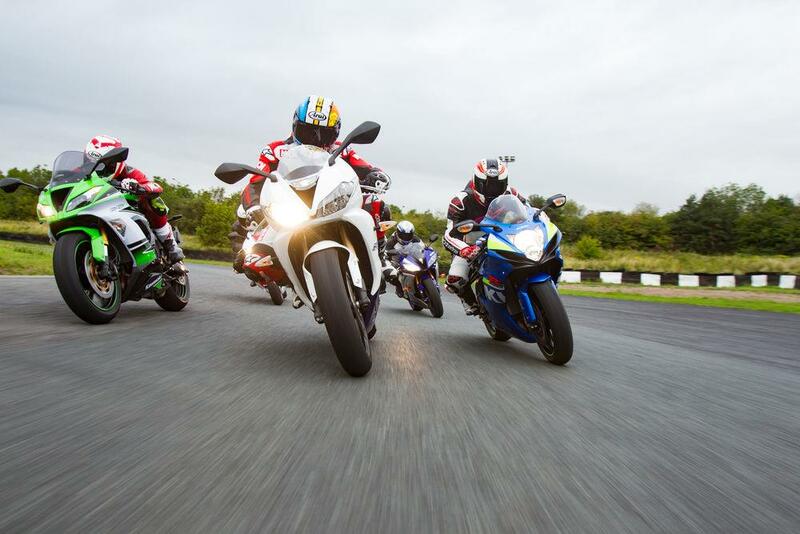 The stars of the supersport class are here to remind you just how brilliant they really are. Sports 600s have been a little overshadowed recently. Featuring old technology compared to their electronically harnessed, 190mph litre-bike brothers, they’re often seen as the inferior option. But are we being unfair? 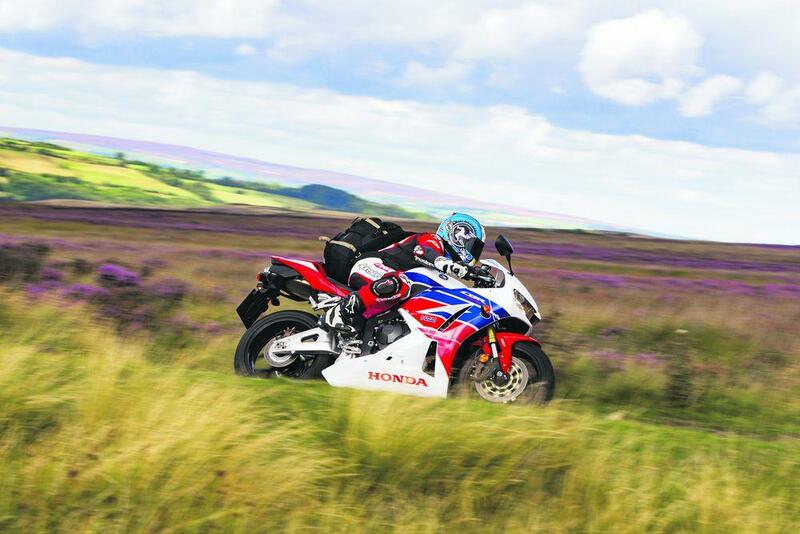 We took the five benchmark 600s for a 500-mile ride to a trackday up north. 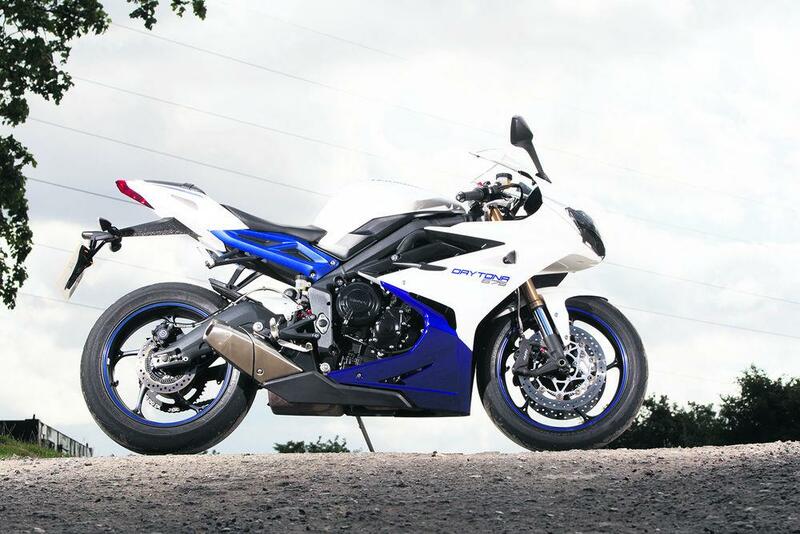 hy haven’t I ridden a supersport bike for so long? Like many, I’ve been distracted by all the excitement in other classes these past 12 months. I hold my hands up and admit I’ve not even given the 600 class a second glance this year. But how refreshing they are. 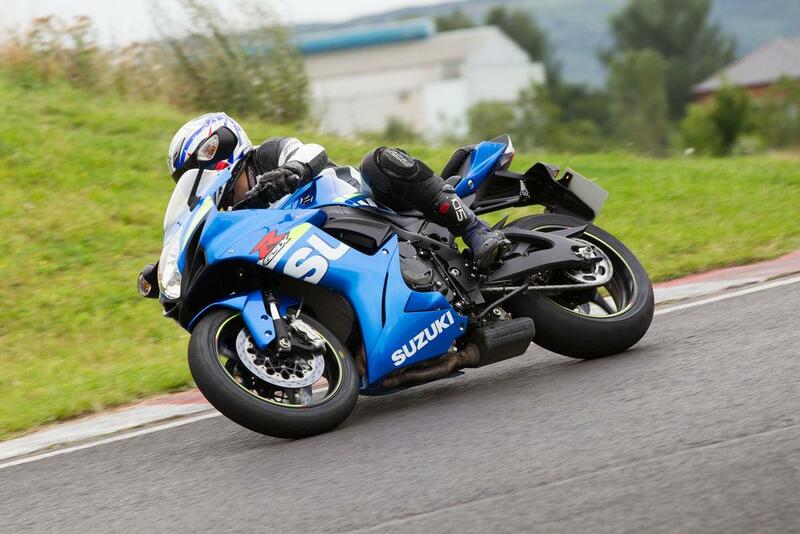 Within a few miles on Suzuki’s GSX-R600 I can’t help but smile. Getting reacquainted with the supersport class is like playing a CD you’d forgotten about – and realising, despite its age, it still rocks. I’d foolishly written off Suzuki’s GSX-R before riding it. As I was getting kitted up, looking at its glitzy new GP paintscheme, I remembered the GSX-R negatives – a weak engine with no grunt and a cramped riding position – but I couldn’t have been more wrong. On the 40-mile run to Sherburn-in-Elmet to meet the MCN team, the GSX-R immediately turned my sombre mood on its head. What a bike! The mid-range is way more punchy than I remember, not far behind the GSX-R750, yet it loves to scream to the redline. You can’t ride a 1000cc superbike to the limit on the road, but you can make a 600 howl in the right conditions. It’s sheer bliss to pilot the Suzuki between 70 and 110mph, dancing between 4th and 5th gears. I arrived at Sherburn happy, but disappointed I’d ignored the 600 class for so long. After an unhealthy lunch stop at Sherburn it was time to hit the road, as we were due on track at Teesside Autodrome at 4pm. The route there was going to be a little dull so I chose Yamaha’s R6; if I was ever going to hate the 600 class it was going to be now, commuting around York followed by a relatively mundane stretch up the A19 and A1. The Yamaha’s track focus became immediately obvious. The riding position throws you forward, all your weight on the relatively wide bars. The firm seat is high, the screen is low: it’s a race bike with mirrors. On the move there’s comparatively little bottom end and not a huge amount of mid-range power either. But between 80 and 90mph, with the revs hovering between 7000 and 8500rpm, there’s enough grunt for sharp overtakes. There’s no real need to make the R6 scream for mercy, but when you do it’s addictive; nailing it in the first few gears out of every tight bend or roundabout all the way to the 16,500rpm redline. Yes, it was a pain around York – it’s not a comfortable bike – but on the flip-side it is a race bike made road legal, basic without any rider aids - fun in an old fashioned way. At the next fuel stop I decided to jump on the attractive CBR600RR. It looks quick stood still, and I know from racing at the TT that a tuned CBR is highly competitive, but on the road it left me a little flat. On the final fast run up to Teesside it seemed to have all the disadvantages of the R6. It’s cramped with an unprotective screen, but lacks any kick or excitement. It’s obviously smooth, but it feels a little gutless. You wait for the mid-range or top-end rush but neither happens, while the motor just revs until it bounces off the rev limiter. 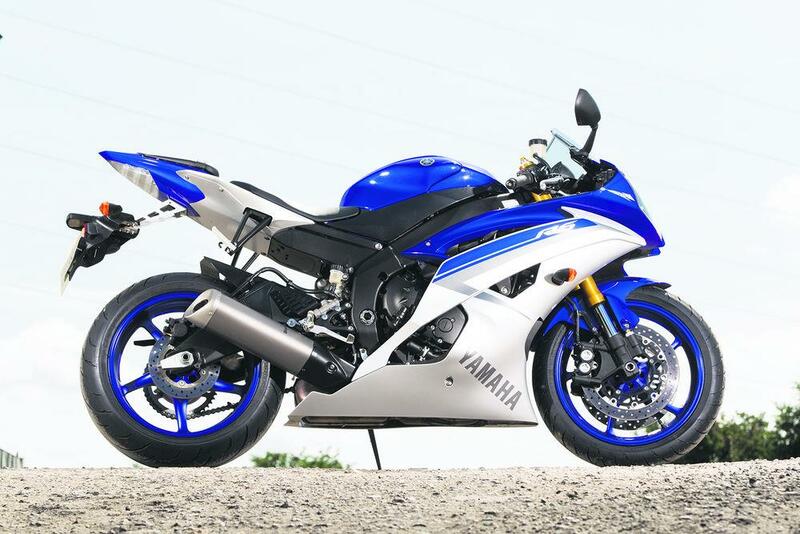 The ride is actually more suited to the road than the R6, softer and much more stable. Yet none of the test team could say anything noteworthy about it. “You don’t notice the lack of grunt until you ride one of the others,” was the best Jon could muster. On day two, after a fun track evening followed by a few beers, we all felt a little deflated to see heavy rain beating down on the bikes in the hotel car park. With a long ride from Teesside back to Peterborough via the North Yorkshire moors ahead, today was surely the day to remember why everyone fell out of love with the supersport class. I opted for the Triumph 675 shod with its track-ready Pirelli Supercorsa tyres, which are brilliant in the dry but not so good in the wet. Yet even in the damp the Triumph is a pleasure to ride. Switchable ABS comes as standard to lend security in tricky conditions, and because the 675 is so natural and easy to ride you don’t miss traction control. The fuelling is excellent, and the three-cylinder motor makes lots of low-down torque, ideal when tiptoeing around slippery roundabouts. Thankfully by mid-morning the sun came out and the roads began to dry and the British-built bike came alive. On the fast A-roads to the coast I left the 675 in fifth gear and let it pull easily from 50mph to 110mph as we negotiated never-ending holiday traffic. It sounds fantastic, the riding position is comfortable, chassis feedback is excellent, and the brakes are strong. I could have ridden the Triumph all day. On seriously bumpy B-roads the Triumph is a little harsh, but only at high speed. At Whitby I didn’t want to hand over the keys, but thankfully I had the Kawasaki to look forward to. I rode close to 20,000 miles on my long-term test ZX-6R in 2013 and I’ve twice raced a ZX-6R at the TT. I love them. In 2013 Kawasaki attempted to make the ZX-6R more road-focused than ever, added rider modes and traction control, becoming the first bike in this class to feature the technology. Kawasaki also relaxed the riding position, and it really works. We had the limited-edition 30th Anniversary Sport model on test, which includes an Akrapovic end can, a larger screen, tank pad and seat cowl for just under £10,000. The larger screen makes a real difference; you don’t have to be hunched over the fuel cap to get out of the wind-blast like you do on the R6. Some would say the motor is cheating as it’s actually 636cc and not a true 600, but who cares? It’s a gem, making torque the CBR600RR can only dream of. This, combined with the relaxed riding position, makes the Kawasaki incredibly natural and easy to ride, very much like the Triumph. 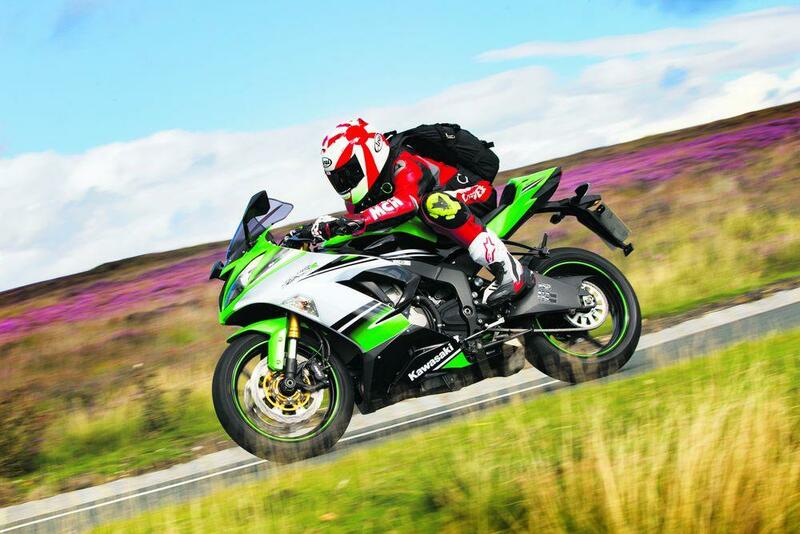 However, the Kawasaki is softer sprung than the British bike, the suspension is more plush overall, which makes it less nervous when you attack a really bumpy section of road. The Kawasaki, Triumph, and even the surprising Suzuki banished our preconceptions of how we thought they’d perform on the road. They have enough creature comforts to make life more than bearable, but equally have a Jekyll and Hyde personality which means they can also dart towards their redlines to set our pulses racing.